There’s a strip on Congress Street, right next to City Market, famous in Savannah for it’s pubs, bars, and restaurants. Here are some of the must-see spots! 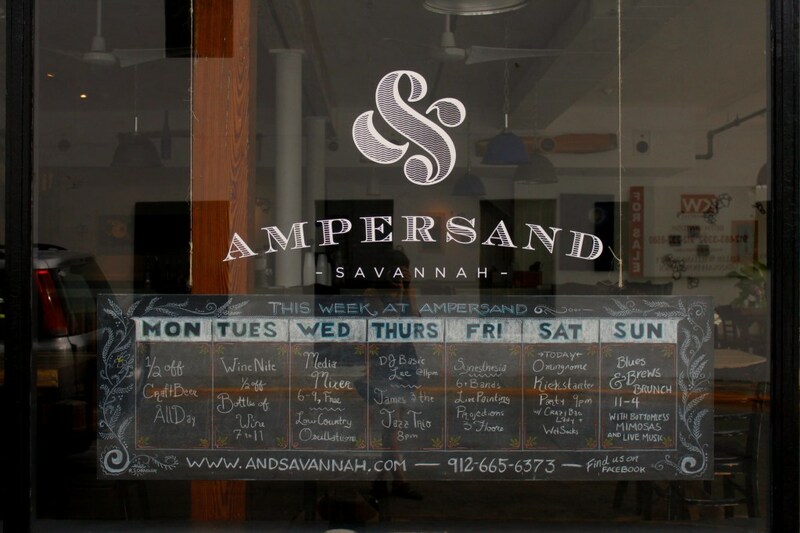 A newer addition to the Congress area is Ampersand, the best multi-tasking establishment in Savannah. 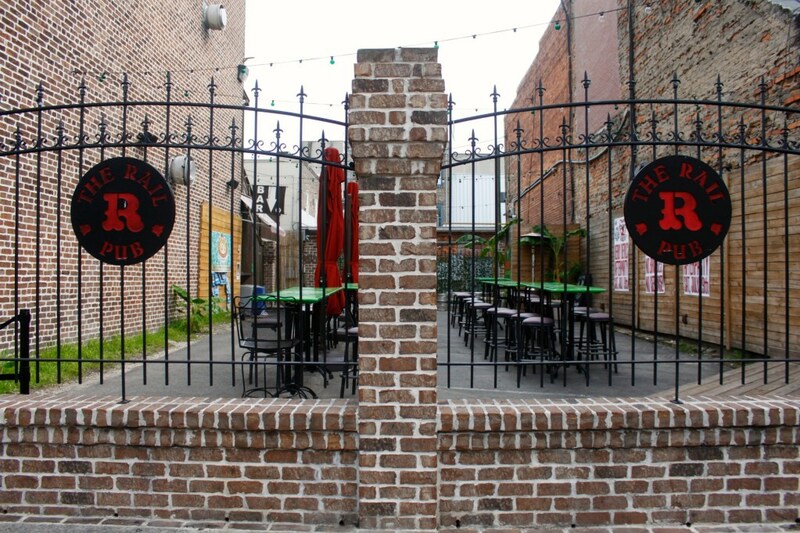 Restaurant, bar, music venue, event space, gallery, Ampersand does it all. From hosting DJ’s to putting on theater productions or live music shows, there’s always something to do. But just because the place is a jack of all trades, it doesn’t mean the menu is lacking. From gourmet mini pizzas to slow cooked pork belly, quinoa salad, or a trio of local shrimp, shallots, and scallops, there are no wrong decisions. 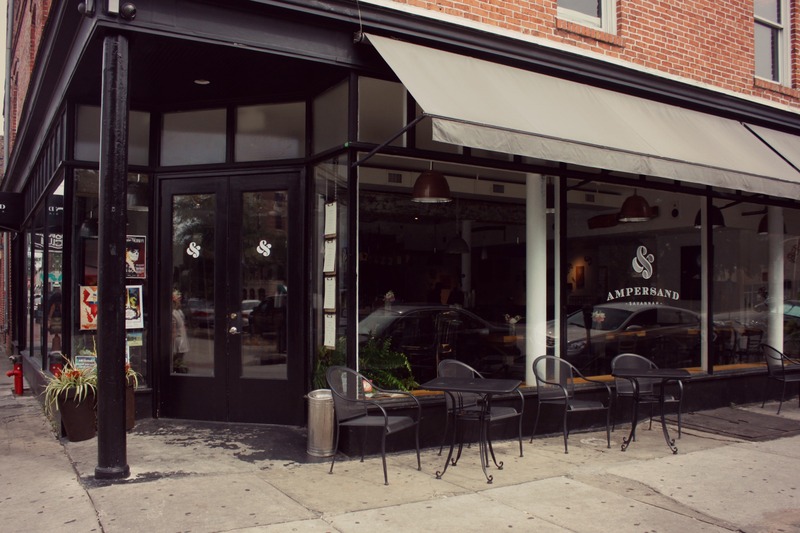 Ampersand also does brunch and has a late night menu, so it’s a great place to shake up your normal eating routine at any hour of the day. 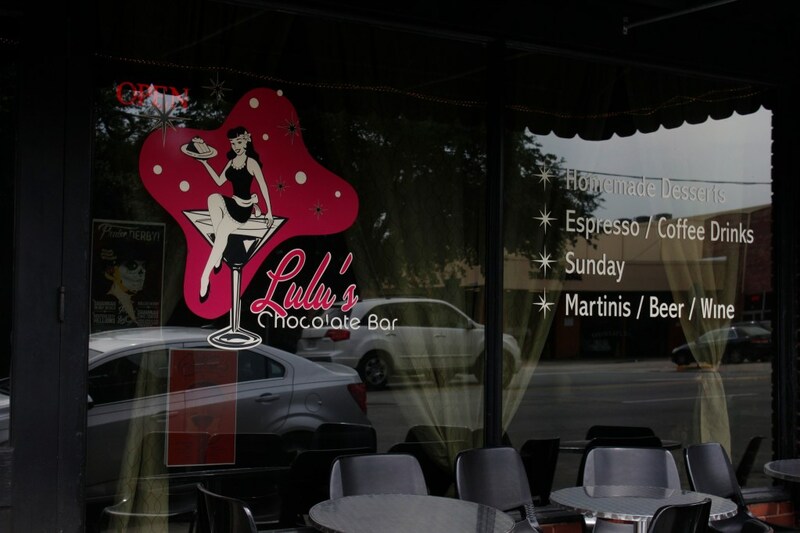 Lulu’s Chocolate Bar is a great place to go at the end of a date, at the end of along day, or really, just the end of any day of the week. It’s exactly what it sounds like, wine, beer, martinis, and desserts. All served up in a cozy, retro-glam atmosphere. What more could you want? 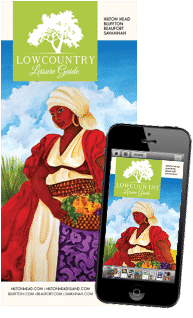 Here’s what they have to offer: Cheesecake, with a choice of either White Chocolate-Chocolate Chip, Cherry Almond, Milk Chocolate, or Orange; Cakes, with a choice of Dark Chocolate Cappuccino, Flourless Chocolate Torte, Strawberry Suspension Cake, or Bourbon Pecan; Tarts, with a choice of Coconut Key Lime, Local Fig, or Nutella Fudge. There’s also mousse towers, brownies, truffles, crème brulees… are you getting why locals love this place? And we haven’t even mentioned the drinks yet. The bar is full, but if you’re looking for something special, try one of the delectable martinis, like cappuccino, peanut butter cup, or raspberry truffle. There is also a wide array of sipping chocolates, chocolate liqueur, and inventive champagne cocktails. This place is a must. 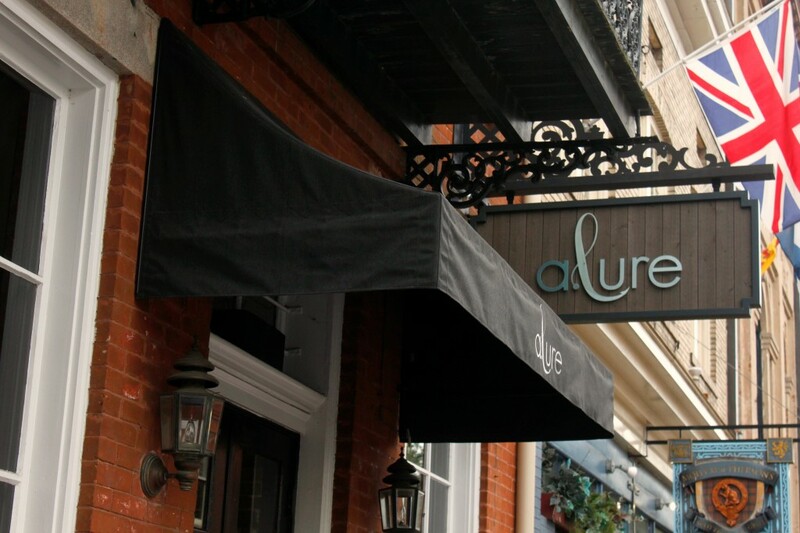 A.lure is a truly contemporary approach to classic southern and seafood favorites. 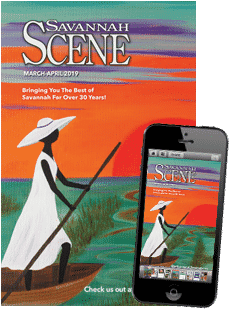 Being positioned on the coast, the seafood is caught by Savannah fisherman as well as brought in from surrounding areas such as Florida and the Carolinas. All the meat also comes from the Hunter Cattle farm in Statesboro, Georgia, where all livestock is natural, grass fed, and hormone-free. Real low country food straight from the low country. But when a.lure says they’re making traditional southern food contemporary, they really mean it. Check out these inventive starters: a gruyere and onion tar with warm apple compote, balsamic gastrique, pork and mango pot stickers withjicama slaw, mango jalapeno BBQ sauce, and cilantro. Or, try the foie a la mode, which is seared foie gras on a grilled Krispy Kreme donut served with pineapple chutney, white truffle black pepper ice cream, and a pomegranate reduction. The Lamp carpaccio is also a great interesting pick, served with cracked pepper, capers, scallion oil, and savory Sweetgrass Dairy bleu cheese ice cream. For something a little more basic, try the shrimp and grits or the beef tournados, which are goat cheese gratineed certified angus beef tenderloin medallions, served with smashed purple fingerling potatoes, asparagus, and a blackberry horseradish demi glace. And if they can get so inventive with dinner, just imagine what they come up with for dessert! Try the pineapple polenta upside down cake served with blueberry ginger compote and caramel lime ice cream, the butternut squash cheesecake served with pecan pie sauce and spiced whipped cream, the apple tarte tatin with cinnamon basil ice cream, or the frozen goat cheese soufflé with passionfruit curd, blackberry lemon sorbet, and honey tuile. You might have to just try them all! 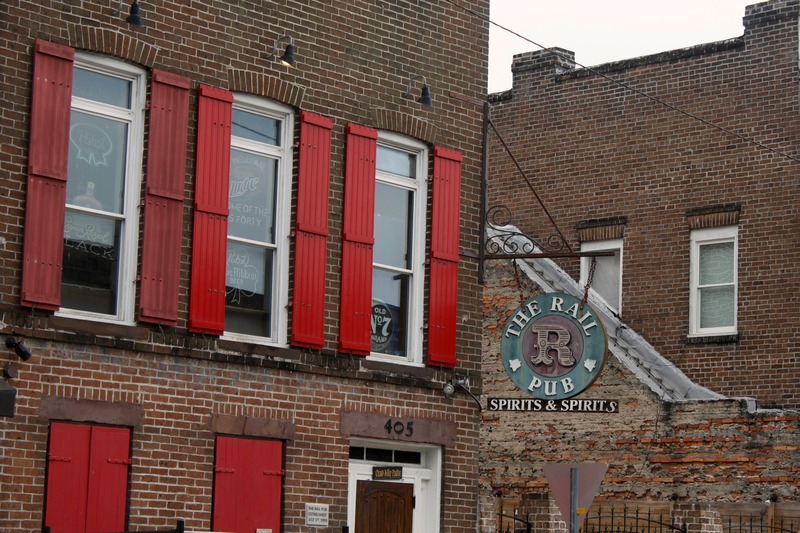 If you’re looking for a small, solid, no nonsense dive bar, The Rail Pub is the place to go. Located just off of City Market but mostly just populated with locals, this is a great spot to grab a 40 oz. beer for $5 (you heard right), eat some peanuts (just leave the shells on the floor) and get away from all the craziness of the day. There’s a nice outdoor seating area on the second floor, darts, pool, and karaoke are available, and a cozy fireplace for during the winter! 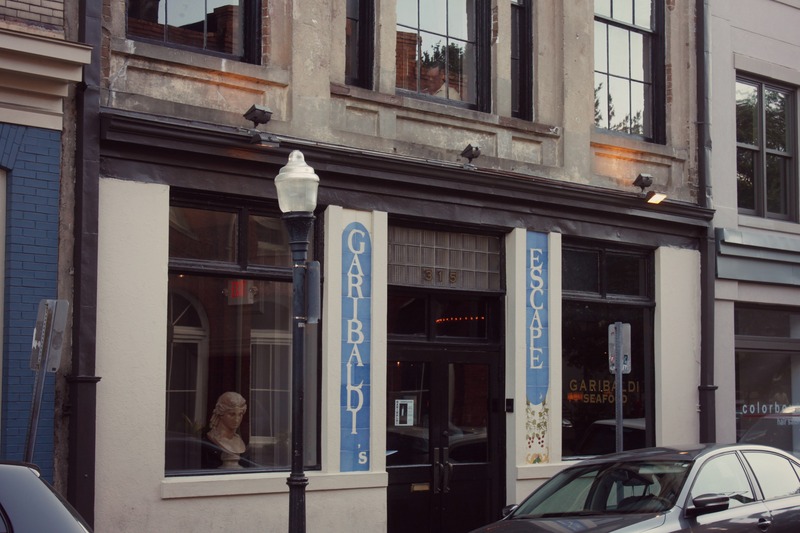 Garibaldi’s is the most upscale Italian restaurant in Savannah. Housed in an old 1871 German firehouse, the restaurant is sumptuously decorated with two floors, the grand upstairs ballroom has a private bar that can accommodate parties up to 120 people. It’s best to make reservations for this busy restaurant on weekends, but during the week you should probably be seated fairly quickly. Start off with a glass of wine from the very extensive wine list from all parts of the world, and an appetizer like the poached pear salad or littleneck clams. The most popular item that the restaurant is famous for is the crispy diamond scored flounder served with apricot shallot sauce, orzo Provencal, and julienne vegetables. Every pasta you can think of from Cajun chicken fettucine, veal parmigiana, or orecchiette carbonara, all pastas also come with the option to add a lobster tail, and who could say no to that? There is also a raw or stem bar serving oysters, shrimp cocktail, lobster cocktail, and Dungeness crab clusters. Desserts vary season to season but we promise it won’t disappoint.